A fat Irish cop in the Mission sees three Latin kids standing with a TV near a car. Pulls out his gun and says you're under arrest. Allegedly, they pull out a gun and shoot him. Los Siete, "the Seven"', are tried, there's a defense committee formed, the Committee to Defend the 7, these are young Latin kids. 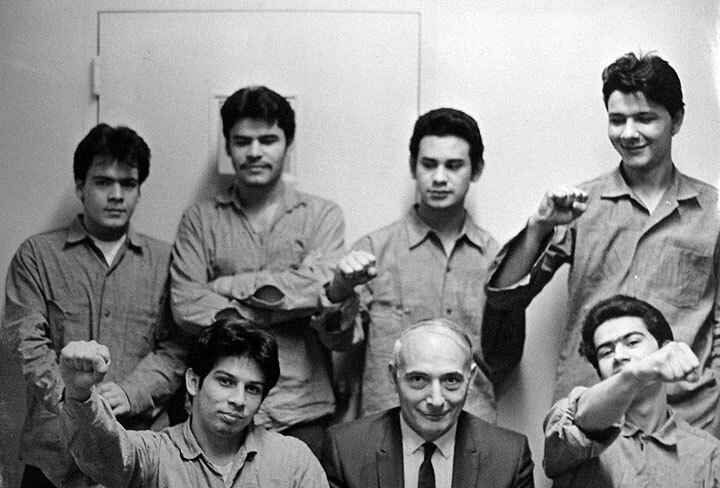 Los Siete de la Raza was the label given to seven Mission District San Francisco California young men, approached by two plainclothes policemen while alleged to have been moving a stereo or TV into a house at 429-433 Alvarado street on May 1, 1969 at around 10:30 a.m. The altercation left one officer, Joe Brodnik, dead from a gunshot wound from the other officer's weapon. When police descended on the crime scene, they entered the house and fired automatic rifles into the second story ceiling in the assumption the suspects were hiding in the attic, after which they flooded the building with tear gas as a helicopter hovered overhead; they sent a fire truck ladder up to the roof to facilitate the search while officer Brodnik's corpse lay untended on the sidewalk (local press reports). In Santa Cruz, seven youths were arrested for murder of SFPD undercover officer Brodnik and attempted murder of partner Paul McGoran, and burglary. They were defended by the activist lawyers Charles Garry and Richard Hodge and written up by the Left press, including Ramparts Magazine. 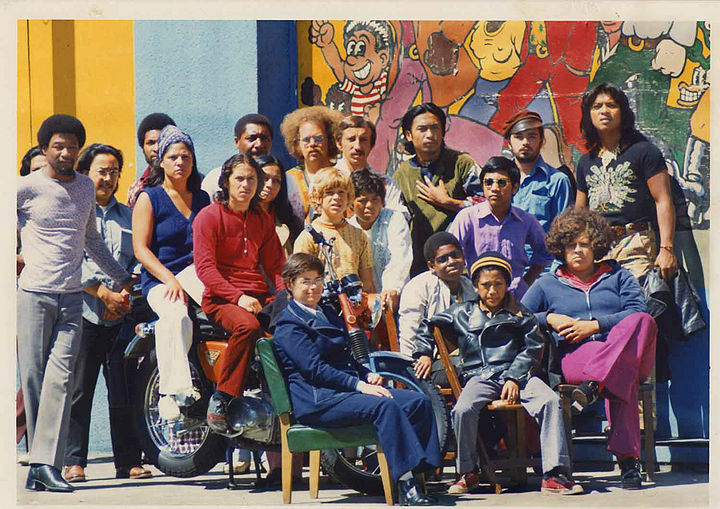 The young Latinos included four Salvadorans, one Nicaraguan, and one Honduran, some of whom had been involved in the youth group, the Mission Rebels (founded in 1965), and later in pan-Latino organizations such as COBRA (Confederation of Brown Race for Action) at the College of San Mateo, and the Brown Berets. The trial began in late June 1970. Officer McGoran testified that they approached the youths and lined them up, then he struck one in the face and was jumped by "more than one assailant". The last thing he claimed under oath was hearing Brodnik shout, "look out Paul, he's got your gun". The defense said McGoran pulled his gun and shot Brodnik in the struggle, and brought forth witnesses to testify to his (and Brodnik's) excessive use of force in previous incidents. McGoran denied ever having pulled out his gun. After a trial that lasted a year and a half, "the Seven" (Gary Lescallett, Daniel Melendez, Jose Rios, Rudolpho Martinez, Jose Martinez, Danillo Melendez, Mario Lopez), were acquitted. The Los Siete Defense Committee was housed near 24th and South Van Ness. The Defense Committee raised support for the seven Mission District youths accused of shooting officer Brodnik and found assistance from the Black Panther Party. The La Raza Information Center began operating in the summer of 1970 in the vacant storefront next to Los Siete. The latter was running many programs, including Centro de Salud, a free breakfast program, a community newspaper, and the main program, the Los Siete Defense Committee. 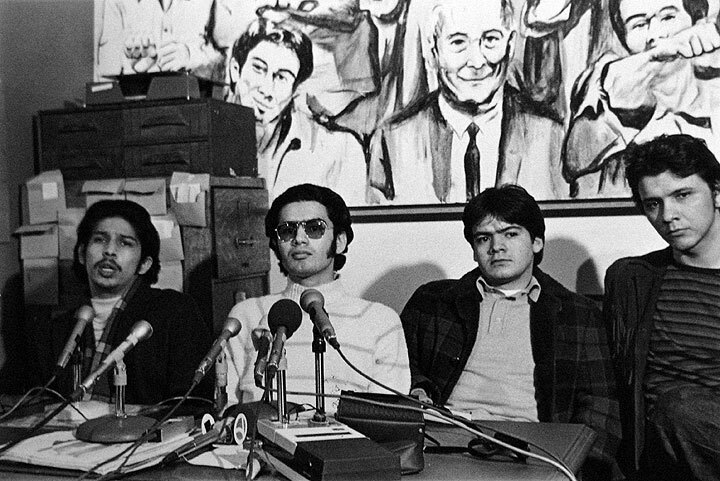 Press conference after successful acquittal of Los Siete defendants, 1971.